Engagement, curriculum, and more — our best release yet! Have we got news for you. We just released the latest version of MomentPath, and we could not be more excited about these updates and new features. Our customers inspired these changes, and they’re the best yet. Without further ado, here are the updates we think you’ll love. We’ve restyled much of MomentPath. The dashboard, the People page, the Groups page (to name a few items) now look sharper and more user friendly. Larger fonts, check in/check out buttons, and edit/delete buttons make it easier for teachers to track what they need to track and quickly. Administrative staff can now see how family members interact with the messages they receive from their center through MomentPath — whether via text message or email. 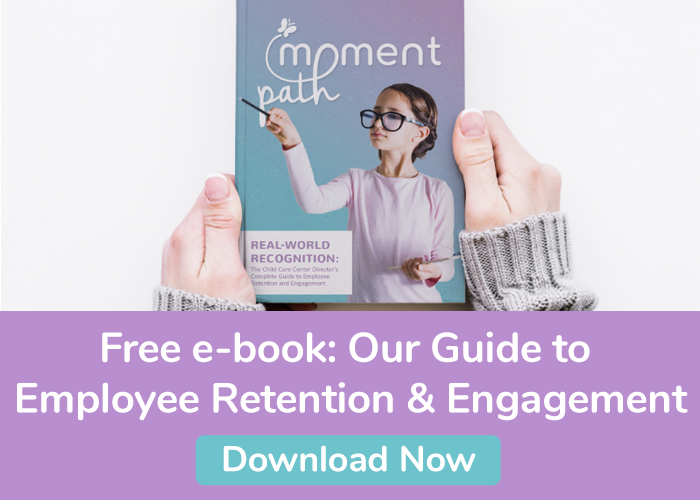 MomentPath Engagement data can help centers build stronger connections with families by giving them information they truly value. When teachers create a new entry in Curriculum, they can choose the type of curriculum (Creative Arts, Language & Literacy, Math & Numbers, Science & Sensory) and attach a PDF of the lesson! We understand that curriculum needs are unique to each center, so this updated feature can be used as a starting point, making it what each center needs to track and share their kids’ learning. Introducing Learning Moments…integrated with Curriculum! Teachers can now create Learning Moments as part of a child’s day. Even better, when teachers create a Learning Moment, the comments section will automatically populate with the description of the day’s curriculum that has been loaded in the Curriculum page. Here are more details on how Learning Moments and Curriculum work together. Families will receive a redesigned version of the daily summary email. These emails contain all the information families know and love, but with a new look and the ability to “Like” photos! “Proud” doesn’t begin to describe how we feel about this new release. We can’t wait for our customers to see what we’ve created using their feedback and suggestions.